One of a number of electricity substations in Melbourne's CBD, Substation J has become the fastest selling ticket since it joined the weekend program a few years ago. Photo © Open Houe Melbourne. "Probably the coolest space was the control room [at Substation J] which is a throwback from the early 19th-century", remarks Dan Cox, Director of Interior Design at Carr Design. Photo © Dan Cox. Open House Melbourne Weekend has just delivered another-action packed program filled with the beautiful and the extraordinary and everything in between. From inside Melbourne's new Metro Tunnel, the RMIT Design Archive and Substation J, to the Living Cities Forum and a series of films about Melbourne's urban design history, the program provides an exciting platform for conversations about city making. Architecture tours in and around some of the city's often out-of-reach spaces delivered an up-close and personal look, while talks by designers and planners revealed the built history of Melbourne and raised questions about what kind of city Melbourne wants to be. For those who are interested in the machinations behind how a city works, from the architecture through to the people behind the scenes, Open House Melbourne is a rich and diverse program fostering direct dialogue about city life. It also provides an important barometer, tracking how our cities are performing and why architects and good design matters. The RMIT Design Archive reveals the history of Melbourne from Robin Boyd to Roy Grounds. Photo © Bonnie Hamilton. This year more than 200 buildings were open, The popularity of the event, which has now grown into its architecture festival status, confirms the appetite for city dialogue at a grassroots level and an open access agenda. Two key buildings on the 2018 program – Substation J and the RMIT Design Archive – are on first impressions worlds apart. 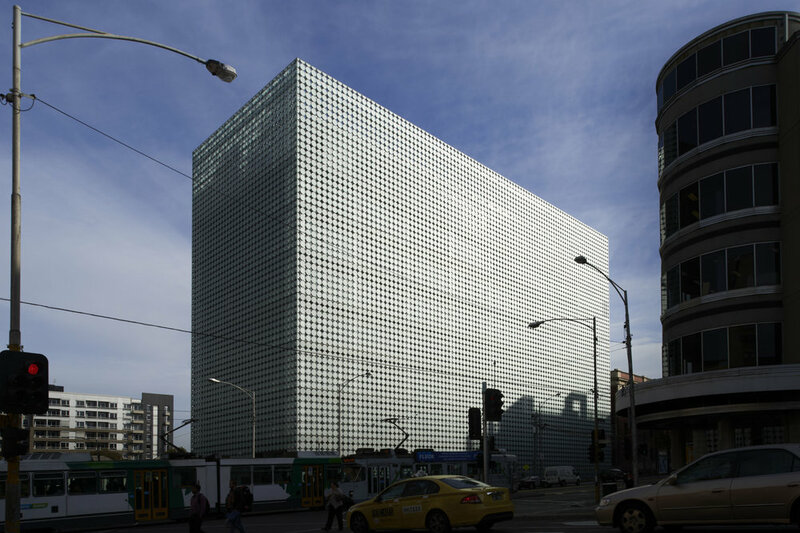 The RMIT Design Hub by Sean Godsell Architects in association with Peddle Thorp received a National Architecture Award from the AIA in 2013. "The Sean Godsell-designed RMIT Design Hub is beautifully refined, counterpointed by the gritty, raw industrial substation", explains Dan Cox, Director of Interior Design at Carr Design. "Both, intererestingly, are related by time." Substation J has become the fastest selling ticket since it joined the weekend program a few years ago. One of a number of electricity substations in Melbourne, the originally power station was replaced by the Upper West Side apartments in the 1980s but the substation continues to provide power in the CBD. The Carr Design team joined Space for a tour of the RMIT Design Archive during Open House Melbourne. Photo © Bonnie Hamilton. "Substation J is a bunker-style concrete building with huge volumes that house the control point for the high-voltage power lines coming in from the Snowy. It is a really interesting space to get inside and one that you wouldn’t usually get to experience", remarks Dan. "Probably the coolest space was the control room which is a throwback from the early 19th-century. It was very of an era, I left feeling inspired having access to spaces you wouldn’t normally see. I have lived in a lot of old buildings over the years and I am facinated by things that are a bit of a time capsule." A guided tour of the RMIT Design Archive collections, with Ann Carew, Curator Officer, Rickie-Lee Robbie, Collections Coordinator and Simone Rule, Archives Officer, unpacked the library that was founded in 2007. The organisation collects material relating to Melbourne design from the 20th-century and holds a unique place amongst Australia’s collecting institutions. "It was fascinating to see the design history of Melbourne from Robin Boyd to Roy Grounds, and the original interiors of the Athenian Club which opened in the 1970s. The fashion and the architectural drawings were amazing too. For me, the chance to travel back in time was the most interesting part of the Open House experience." Open House Melbourne continues throughout the year. For the full list of events visit the Open House Melbourne website. Space Furniture is a supporter of the annual Open House Melbourne Weekend program, and this year hosted a city tour with members of the Carr Design team.